Gently exfoliate lips to remove dry, chapped skin with the e.l.f. Cosmetics Lip Exfoliator! A sweet sugar and smoothing sensation, infused with Vitamin E, Shea butter, avocado, grape and jojoba oils to nourish and protect. This Lip Exfoliator treats and smoothes lips for a conditioned and revitalized feel. Cruelty free and vegan. This is the worst lip exfoliator in the world. It doesn’t exfoliate your lips and it makes them dry. The Juvia’s Place Zulu Eyeshadow Palette exemplifies rich highly pigmented colors. It consists of 6 beautiful matte shades and three exotic shimmering metallic shades. A limitless expression of your artistic and fun side, fused with day to night time looks. These are one of the most pigmented eyeshadows ever and the colors are sooooooooooooo pretty. The red comes out as more of a pinkish red, but I love that. I love all of the colors, especially the blues and rose gold. Shift just got real with NYX Professional Makeup Glitter Goals Liquid Lipstick. This matte liquid lipstick glides on metallic and switches to a stunning glitter finish. Here’s how to make the magic happen: Swipe on the smooth shade you can’t get enough of and let it set. Then simply smack your lips together to spark the twinkly twist. (Yep, it’s super-duper easy!) The dazzling effect might just inspire you to go for a glitter lip every single day. I loooovvvvvve the glitter and the color selection is beautiful…. but it makes my lips so dry. 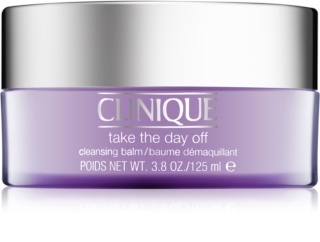 An advanced, oil-free face formula that hydrates, softens, and cushions skin. This oil-free formula combines the moisturizing power of shea butter with vitamins B, C, and E for antioxidant protection to fend off environmental damage. Grapefruit and geranium fragrances leave a light, uplifting scent on skin. With daily use, this cream—rich in feel, but never greasy—helps skin to look and feel its best. This is a miracle worker. It will remove waterproof, smudge-proof, and the toughest makeup.